Experts estimate fewer than 1,000 of the North Central American scarlet macaw subspecies A. m. cyanoptera remain, distributed across southern Mexico, Belize, Guatemala, Honduras, and Nicaragua. The emblematic scarlet macaw is the most widely distributed of all the macaw species, helping it to remain classified as Least Concern on the IUCN Red List of Threatened Species. But the Mesoamerican subspecies A. m. cyanoptera is highly threatened by poaching and habitat loss. 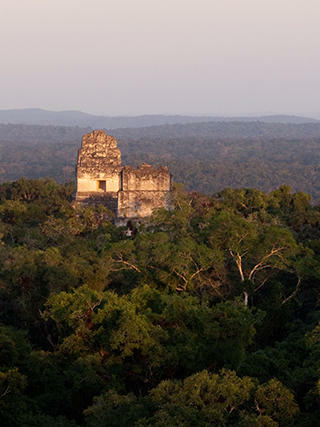 Of the 1,000 or so that remain, WCS estimates that 250 individuals are within the Maya Biosphere Reserve of Guatemala, where we've long worked, and as few as 200 are in Belize.